Jump on the confetti trend with Ashley this week and learn how to randomly place those perky little polka dots on your background. Take the tips you learn and then apply to whichever shape you want to create your own stylish creations. Looking forward to what you come up with in this week's challenge. –Create a project utilizing your take on the challenge. Your project must use at least one Papertrey product and randomly stamped background. –You will have until 7am, Monday, August 12th, to add your link to the list to be eligible to win. And you can enter as many times as you like. –One randomly selected winner will be chosen from ALL the entries on Monday, August 12th, after 7am. The winner will be posted here on this blog post, on Twitter and Facebook. The randomly selected winner will get a $25 PTI gift certificate to spend however they like! Congratulations to Kathy Schweinfurth for being randomly selected as this weeks winner! Please email Customer Service and provide the email address you would like your $25 gift certificate sent to! And a big thank you to everyone else who participated in this challenge. There were so many amazing entries! Enjoy the rest of your week! what a pretty confetti look and feel you gave this card. Great colors! thanks for the video and the challenge. This card is so so pretty and fun! So much fun! 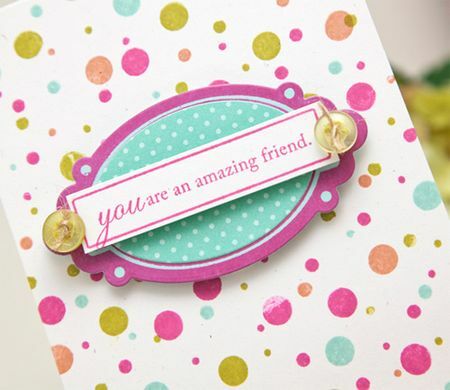 I love dots, so I think my card will need to be dotty, too! Thanks so much for showing so much of your process, Ashley! 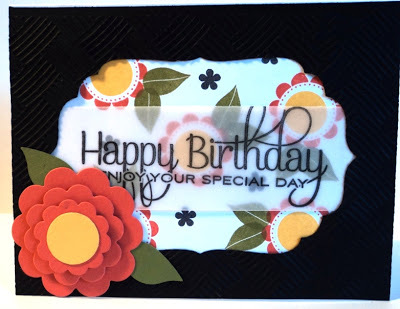 I appreciate seeing how you worked with the different colors and stamps! Very cute card and idea Ashley! Pola dots are so much fun! Love this idea!!! What a fun background tutorial. This is an awesome background. I was looking for something festive for my granddaughter’s birthday card tomorrow and this is it! TFS and making things easier for me.. This was FUN! I am going to use this technique AGAIN! Thanks for the inspiration!